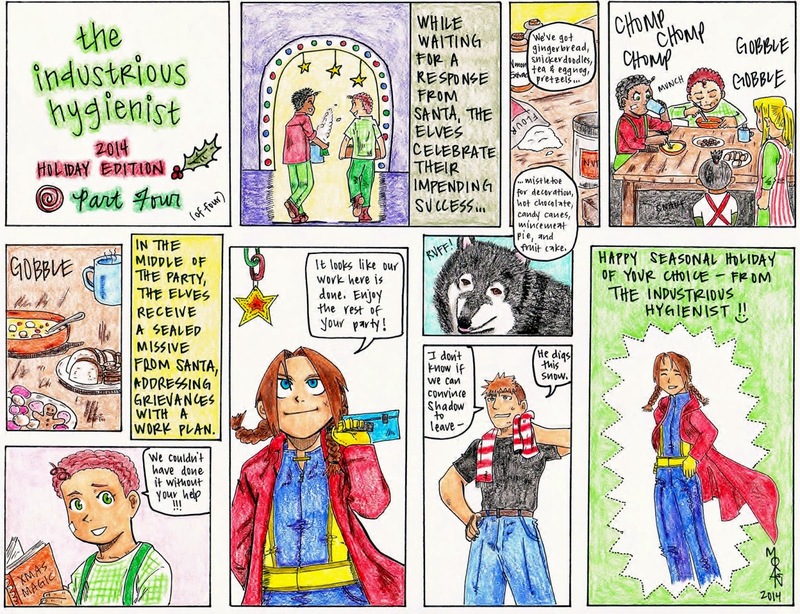 Please enjoy the next installment of The Industrious Hygienist's HOLIDAY MANGA. The Exceptional Spouse and I are looking forward to spending the holidays with family and friends, especially the events where Shadow (Alaskan Malamute) gets to come along. Thanks for continuing to read my blog - expect more safety and industrial hygiene related posts in 2015 and beyond.